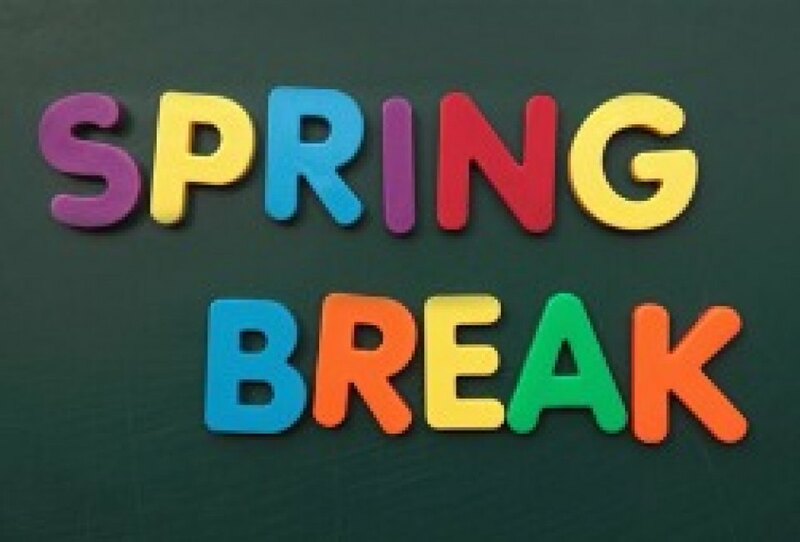 It is Spring Break week! Several Little Rock museums have special activities planned. Monday, March 18 – Meet and have your photo taken with Jet Propulsion from “Ready Jet Go!” Enjoy hands-on activities that teach about space and more. Tuesday, March 19 – Meet and have your photo taken with Nature Cat, the star o PBS Kids’ “Nature Cat”! Enjoy hands-on activities about the wonderful outdoors and meet some of nature’s coolest animals! Tesla Shows: 11 a.m., 12 p.m., 1 p.m., 2 p.m. & 3 p.m. Awesome Science Demos: 10:30 a.m., 11:30 a.m., 12:30 p.m., 1:30 p.m. & 2:30 p.m.
Meet Museum Animals: 10 a.m., 12 p.m., 2 p.m. & 4 p.m. In celebration of Arkansas’s Territorial Bicentennial, our Spring Break activities will focus on settling this state. The museum’s historic block has countless stories of making a life in early Arkansas, from just after becoming a territory to a decade after Statehood. Visitors can spend each day learning about a different person’s path to Arkansas. We will cook Pioneer food, make hands-on crafts, and share a few pioneer skills. See daily feedings of the penguins, interact with education exhibits, attend a meet and greet with animals, go to the Party in the Plaza, have a special meet and greet at the Arkansas Heritage Farm, and chat with animal keepers. The Clinton Presidential Center invites children of all ages to enjoy FREE Spring Break activities on March 18 – 22, between 10 a.m. and 2 p.m. Join us for FREE craft activities for the entire family! We’ll offer an instructional glass fusion project, led by Little Rock School District art specialist Sharon Boyd-Struthers, in conjunction with our White House Collection of American Crafts: 25th Anniversary Exhibit. Spring Break activities are FREE; however, admission fees to tour the Museum apply. Special Spring Break matinee performances of Charlotte’s Web on Tuesday, Wednesday, Thursday and Friday of this week. Wilbur the piglet is the runt of his litter. But under the loving care of eight-year-old Fern Arable—and due in no small part to the delicious and plentiful slops on her Uncle Homer’s farm—Wilbur grows up into a fine specimen of a pig. Wilbur is no ordinary pig, and thanks to the acrobatic web-writing of his friend Charlotte, a kindly barn spider, the world soon learns just how “terrific” and “radiant” he is. Come join in this heart-warming barnyard adventure and marvel at the wonder of Charlotte’s web. On February 17, 2000, over three thousand people attended the Arkansas Arts Center members preview of the new and renovated galleries as part of a week long celebration. It culminated in Big Art Weekend in which the building was open for 72 hours with around the clock programming. Donors to the project, media, and Arkansas museum professionals had each received sneak peeks of the new facility earlier in the week. On Friday, February 18, the Big Art Weekend got underway with a gallery tour of a variety of Little Rock galleries. (This was before 2nd Friday Art Night.) Lectures, tours, and other special events populated the building on Saturday and Sunday the 19th and 20th. In addition, the Children’s Theatre was performing Aladdin and the Wonderful Lamp.. The renovation had taken over 18 months and cost $12 million. It added 30,000 square feet of gallery space. The expanded gallery space featured these exhibits: Paul Signac Watercolors and Drawings: Selections from the James T. Dyke Collection; Without Parameters: Selections from the Permanent Collection; Recent Acquisitions; Prophets, Parables and Paradoxes: Recent Drawings by David Bailin; Artistic Processes: Drawing; Living with Form: The Horn Collection of Contemporary Crafts; and European Paintings and Drawings. The latter exhibit included eight pieces that were promised gifts from the Jackson T. Stephens collection. They were Edgar Degas’ Dance in Blue (Before the Class, Three Dancers (c. late 1880s), Pablo Picasso’s Still Life with Red Bull’s Head (1938), Claude Monet’s Apple Trees Near Vetheuil (1878), Pierre-Auguste Renoir’s Three Partridges (c. 1888-1890), Alfred Sisley’s Road on the Edge of the Loing (1891), Camille Pissarro’s The Raised Terrace of the Pont-Neuf, Place Henri IV in Morning Rain (1902), Berthe Morisot’s The Flute Player (1890) and Bertrand Redon’s Vase of Flowers (c. 1890). November 30 is the birthday of Pulitzer Prize and Tony Award winning playwright David Auburn. A 1987 graduate of Hall High School, he participated in the Arkansas Arts Center Children’s Theatre while he spent his teen years in Little Rock. Born in Chicago, he grew up in Ohio. He moved to Arkansas when his parents took jobs here, first in Jonesboro then Little Rock. After graduating from Hall, he returned to Chicago to attend the University of Chicago, where he graduated with a degree in English literature. While there he was involved with a performance group and also wrote theatre reviews. In 1992, he went to New York to take part in Julliard’s playwriting program. In 1997, his first Off Broadway play was produced, Skyscraper. In May 2000, Manhattan Theatre Club produced his play Proof at one of its Off Broadway theatres. Following the success of that run, it transferred to Broadway in the autumn of 2000. In 2001, Proof won the Pulitzer Prize for Drama, the Tony Award for Best Play, the New York Drama Critics Circle Award for Best American Play, and Best Play awards from the Drama Desk, Outer Critics Circle, and Drama League. That spring he also served as a script consultant for tick…tick…BOOM! a musical written by the late Jonathan Larson. He was asked by Larson’s family to write the book based on the several different drafts Larson had written prior to his 1996 death. Subsequently, Auburn has moved between writing plays and movies as well as directing. He has also served as a teacher and playwright in residence. His plays include The New York Idea, The Columnist, and Lost Lake. He is currently one of the screenwriters on the upcoming new Charlie’s Angels movie.